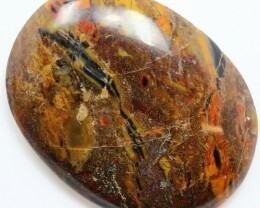 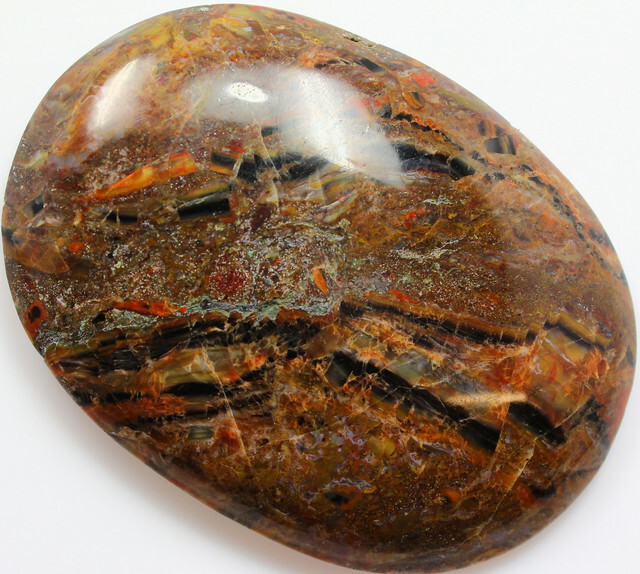 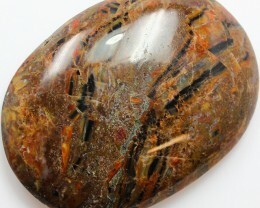 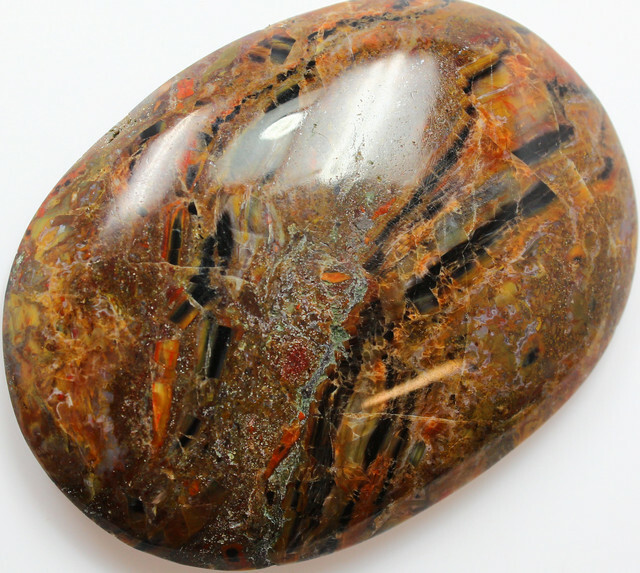 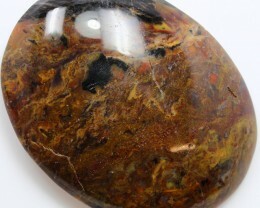 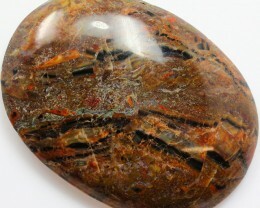 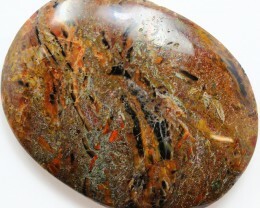 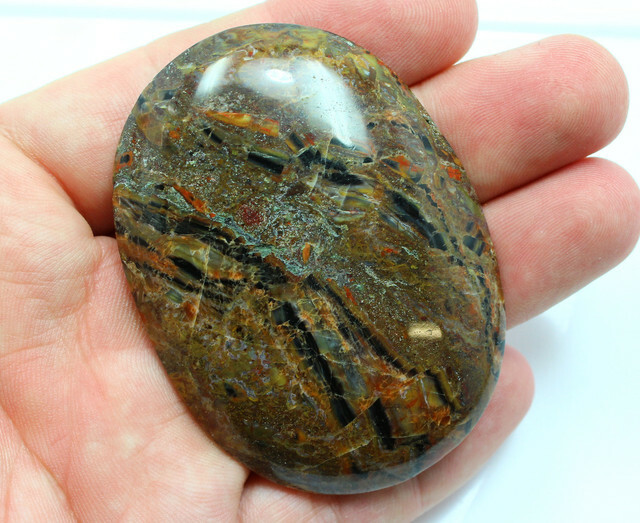 Identified in an old stock collection, this green-rind agate contains red-orange densely packed moss. 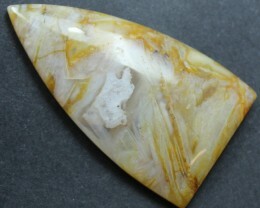 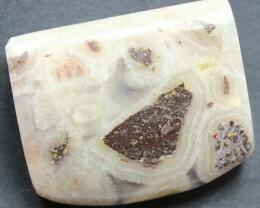 An agate is a variety of microcrystalline quartz which usually includes layers of different colors. 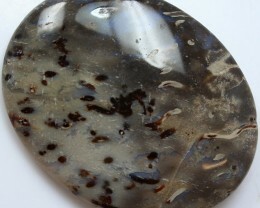 Moss agate is a colorless, translucent chalcedony containing visible impurities that form dendritic shapes resembling moss. 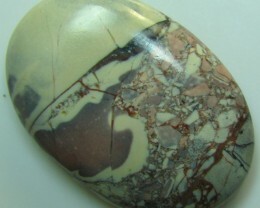 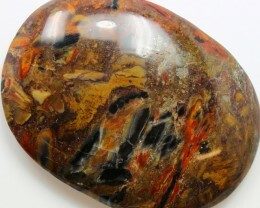 Maury Mountain Agate comes from the mountainous region in Crook County, Oregon for which it is named.